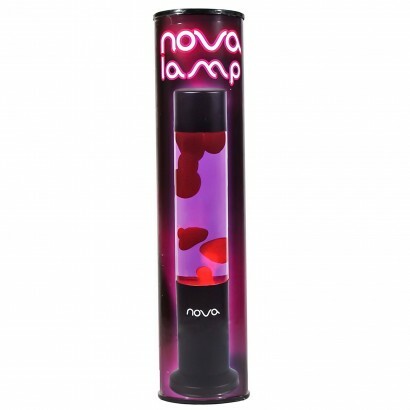 A striking colour clash of red and purple gives extra retro factor to this lava lamp! Red wax rises and falls in purple fluid in a mesmerising display that brings 1960's glamour to your interiors. 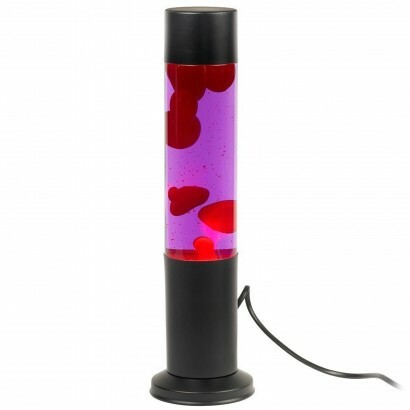 Lay back and relax in the grooviest of atmospheres created by this delightfully kitsch lamp that's finished with a black end cap and base to compliment is cylindrical shape.